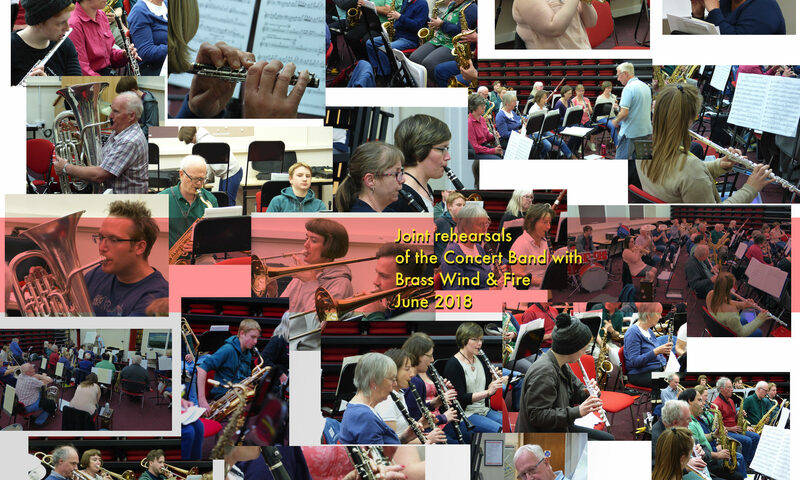 The concert wind band rehearses on Monday evenings at 7.30pm at the Management Development centre of the Avon Fire & Rescue Service, which is to the North of Bath, just beyond the racecourse. You do need a car to get there, unfortunately, but the good news is that there’s plenty of parking, which is very rare in the Bath area! The intermediate band (Brass, Wind and Fire – BWF for short) and the training band rehearse on Wednesday evenings, also at the Lansdown centre.